"Everyone has the right to clean and accessible water, adequate for the health and well-being of the individual and family, and no one shall be deprived of such access or quality of water due to individual economic circumstance." --A proposed "Article 31" to be added to the United Nations' 30-point Universal Declaration of Human Rights. Thursday, Feb. 25, 5:30 to 6:30 pm, Aquinnah. A reading group sponsored by Felix Neck and all six town libraries dedicated to discussing the connections between people and nature. This month's book is Diane Ackerman's The Human Age (see NYT review). At the Aquinnah Library, free, for more info call (508) 627-4850. Saturday, March 5, 1:00 to 3:00 pm, VH. Learn about year-round gardening inside your home at the Island Grown Initiative's Farm Hub at Thimble Farm. Tours, demonstrations, and hands-on activities such as seeding, taste testing, and building a small-scale hydroponic system. Free; for more info, see website, call (508) 687-9621 or email. Sunday, March 6, 1:00 to 3:00 pm, Edgartown. Walk the Quammox Preserve with a Land Bank ecologist. For more info call (508) 627-7141, or see website to learn more about the property. Monday, March 7, 2:00 pm, WT. A Felix Neck talk at the Howes House in West Tisbury. Call (508) 693-2896 for more info. Long Point: Feb. 22 - 26, 10:00 am to 2:00 pm. Questing, scavenger hunts, crafts and more. $15 per child ($10 TTOR members); for more info, call (508) 693-7662 or see website. Felix Neck: Feb. 23 - 25, 9:00 am to 3:00 pm. Search for animal tracks and signs and learn how they survive in winter. For ages 5-10, $75 per child ($60 Mass Audubon members); for more info, call (508) 627-4850 or see website. Wednesday, March 9, 6:00 to 7:00 pm, Chilmark; also March 30, Edgartown. With support from Selectmen, Boards of Health, and Conservation Commissions in each Island town, VCS has put an article on the 2016 Town Meeting warrants proposing an Island-wide ban of single-use plastic checkout bags. Please come hear more about why VCS believes this is an important action for our community to take, learn how it would affect you, and voice your questions or concerns. The March 9 session will be at 6:00 pm at the Chilmark Library. 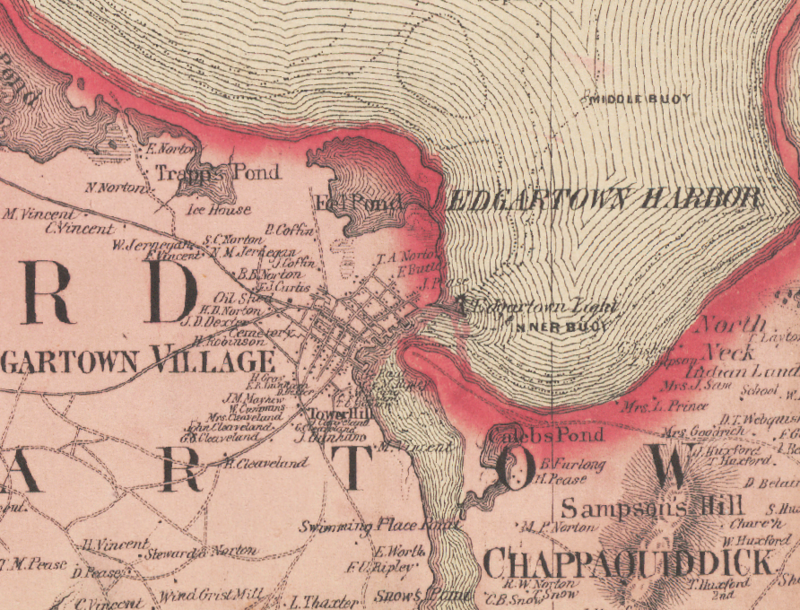 We have also tentatively scheduled a session at the Edgartown Library on March 30 at 6:00 pm. 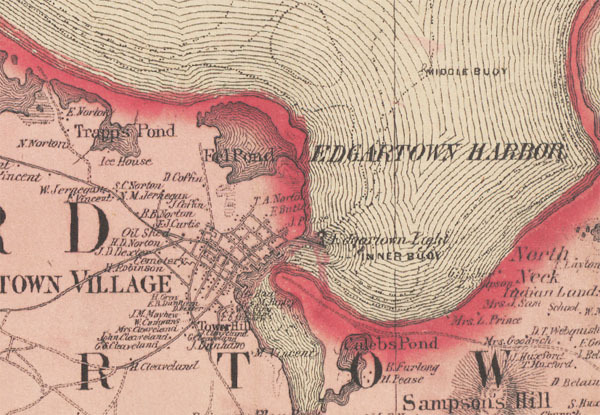 The harbor area, including Eel Pond and Little Beach, was very different in 1858 (Map image from Harvard Geospatial Library, click for full size). 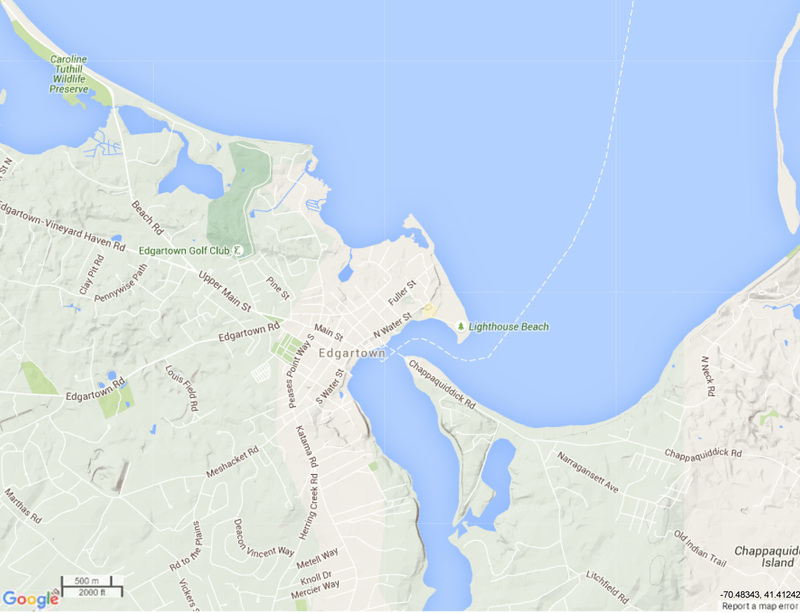 See this Google map for something approximating present-day. 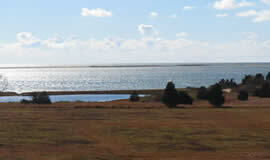 It was a small band of cold-hardy folk who joined us on our most recent Winter Walk, an exploration of the dynamic land use and natural history of the Edgartown Harbor wetlands area. Special thanks to Linsey Lee of the MV Museum for co-leading the walk and contributing her knowledge of the stories and personalities that made for a compelling chapter in the history of conservation on the Vineyard. If you missed the walk, you can still check out the slideshow. The West would have plenty of water if people used it more wisely: Most of the region’s supply goes to growing low-value, water-intensive crops such as hay and alfalfa—in many cases in the desert. . . . Water markets promise to correct this: When you allow water to be bought and sold more freely, its value begins to match its importance, waste becomes expensive, and the West’s water problems begin to solve themselves. Redirecting water resources from low-value crops to higher-value ones (not to mention natural systems, like improving stream ecology) is sensible, and anything would be better than some of the current perverse incentives (like “Use It or Lose It” rules). As the hedge fund manager interviewed in the piece sees it, water use would be more efficient if it were part of a rational market. That much is true, but there are reasons to be cautious before presuming the modern Wall Street model is the best way to create or maintain a rational water market. First, profit for the traders will have to be generated somehow to make it worth their effort; perhaps this will be newly-created wealth that doesn’t come at the expense of existing farmers, homeowners, and local governments. Or perhaps it won’t be – while at times the article lionizes its “maverick” interview subject, it also doesn’t shy away from the damage done to communities after the water rights are sold. But a second sort of worries (not addressed in the ProPublica story) also spring to mind. Maybe it’s just the unfounded imaginings of this layman, but is there a risk of some sort of unpredictable catastrophic market failure? If a Wall Street approach leads to the creation of increasingly complicated products and trading techniques, the promised rational market could over time come to deal mostly in theoretical abstractions of water rather than real, tangible H2O. If home mortgages can be sliced and diced, repackaged, and sold in bundles to the managers of pension plans, why not water rights? What could possibly go wrong? Looks like a good day to short sell water derivatives!